Progress! Round one of the latest Analytics Canvas beta came to a close last week. Testers kicked around the new Data Studio connector and helped us to get it into really good shape. No more remoting into servers, no more batch files, no more Windows Scheduler, no more IT! Go to Cloud Automation, upload your Canvas file(s), set the schedule or run it on demand. All the data available in the Search Console API for every account and site you have access to. Combine this with Cloud Automation and start getting more than 90 days of Search Console history. Wow, the interest in Data Studio has been incredible, and not just from GA and GA 360 customers. People are creating online dashboards using the embedded reports feature, and using Canvas to refresh their reports as often as every 10 minutes. We’ve addressed issues with date types and special characters and made significant improvements to the user interface. Keep testing and providing your feedback! 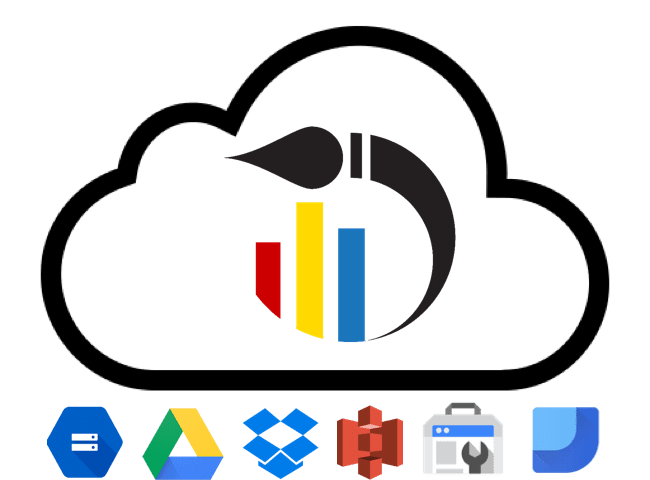 Import and export data files (CSV, TXT, and Excel) to and from one or more of our new Cloud File Connectors, including Dropbox, Google Drive, Google Cloud Storage, and Amazon S3. We make better software when our customers and potential customers take the time to test things out and provide their feedback. Everyone from the first round will automatically be invited to Round 2, but we’re also looking for those who have a specific interest in one or more of the 4 new features mentioned above. If that’s you, sign-up using the form below and you will be contacted within 1 business day. Request an Invitation The private beta is now closed. Sign-up to get the full release!